For work required to connect the electronic module to the computer. The following are the two options, through COM port (RS-232 Serial Port) and USB port. Programmer device USB Elinv Prog (USB connection), formed on the chip FT232RL. At the end of 2016 the Elinv Prog Programmer device was discontinued. 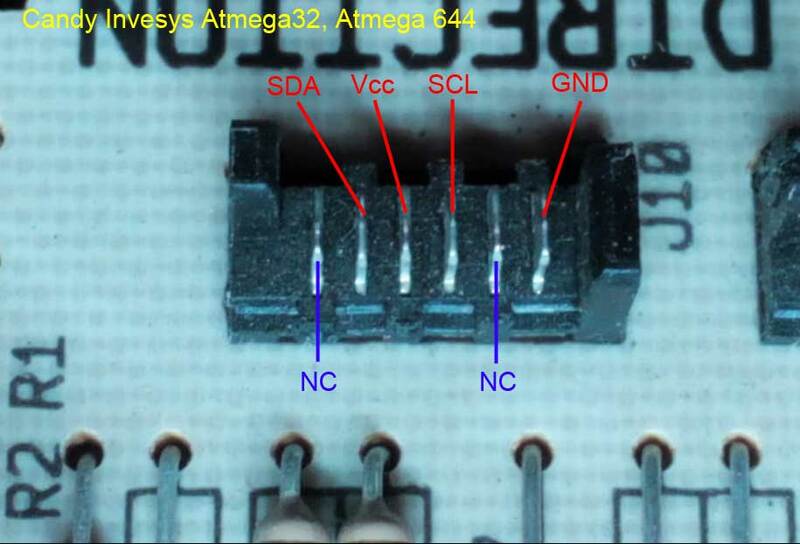 But there is an available analog on the FT232RL chip. Refer to the user manual: http://skyprog.net/en/manual/USBFT232RLchip1.html It describes this point in detail. 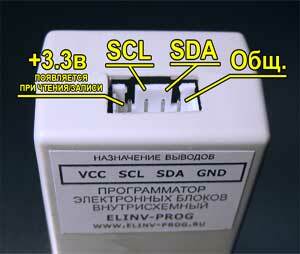 Price USB Elinv Prog is 1700 rubles. Additional charge for shipment by mail Russia 200 rubles., near abroad 300 rubles. You can purchase it on the manufacturer's website or order here when buying software Sky Prog Programmer. Developer of the software Sky Prog Programmer is not related to the development and production of programmer device USB Elinv Prog. This device is taken as one of the hardware additions to the software as an inexpensive and reliable product. With USB Elinv Prog the software Sky Prog Programmer works accurately and stably. 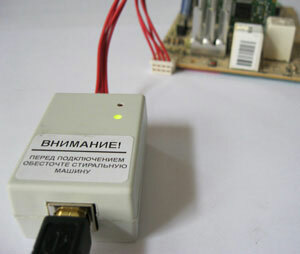 The programmer is not used as a Converter USB - >COM speed characteristics of the read/write have excellent performance. Use this scheme only if hardware COM port! Sky Prog Programmer is not intended to work through the converter USB-->COM. With this configuration greatly decreases speed and causes errors. In USB Elinv Prog package includes three adapters: for Candy washing machines, for Atlant washing machines and for a free solder.